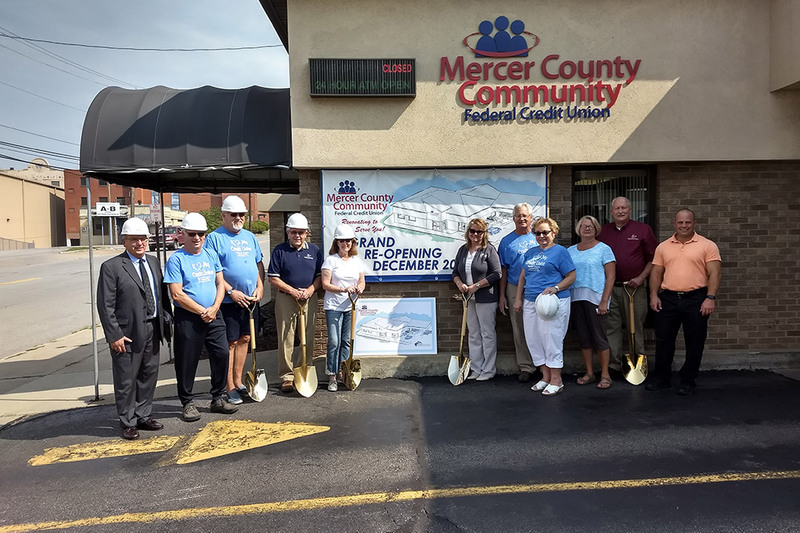 Sharon, PA – Mercer County Community Federal Credit Union broke ground for its new expanded Sharon Branch Office, 428 Sharpsville Ave. on Monday. Carangi was joined by the board of directors and the supervisory committee at the groundbreaking. Construction on the $500,000 project is expected to be completed in December 2018. When completed, the renovated office will be nearly 3,500 square feet and have five new offices, expanded drive-thru lanes with video monitors and a larger open concept lobby.